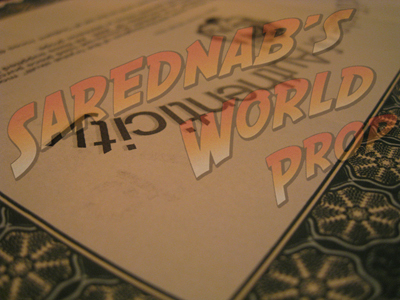 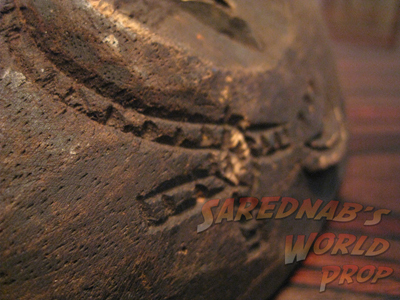 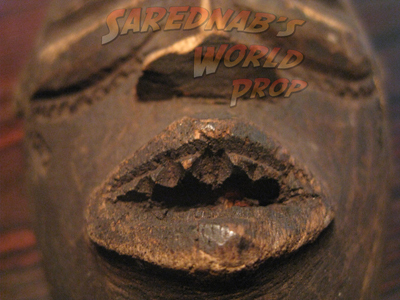 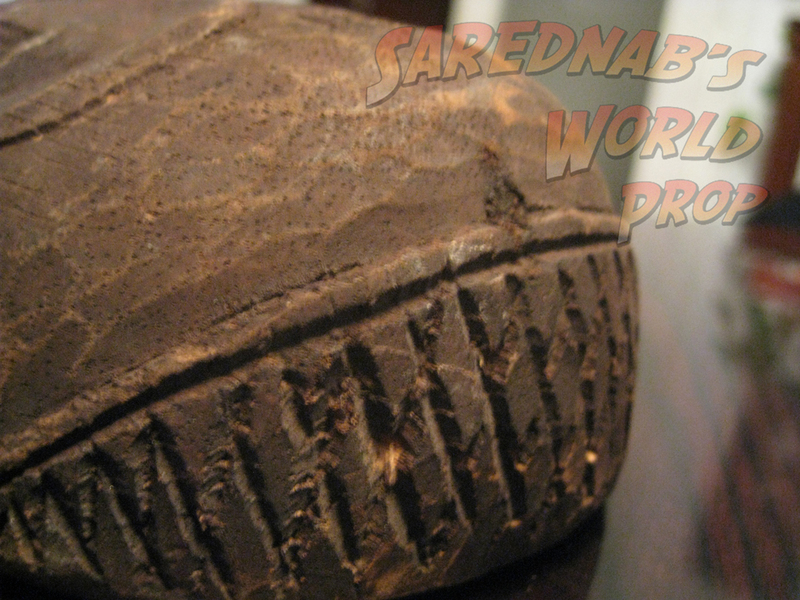 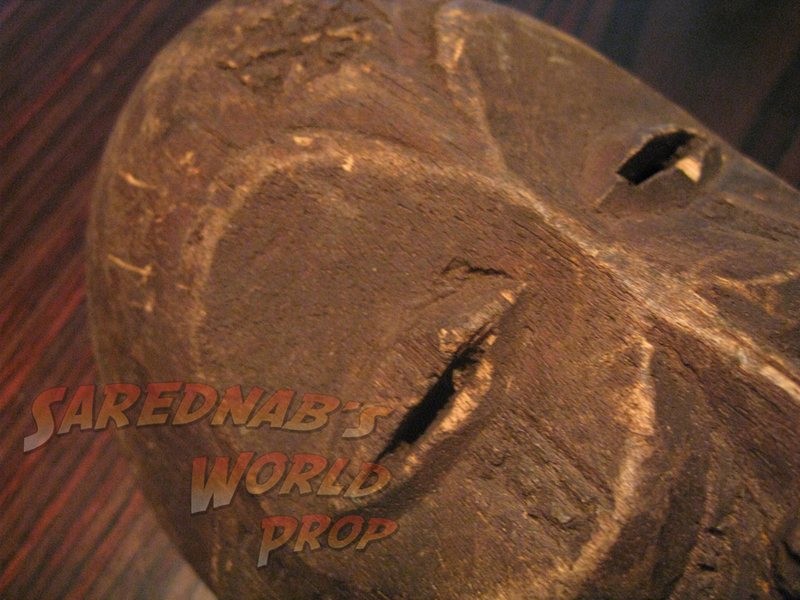 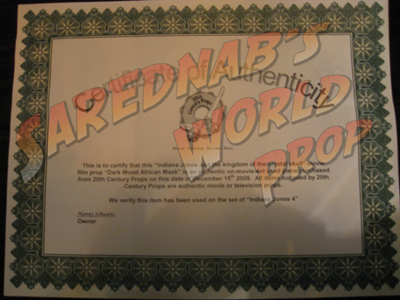 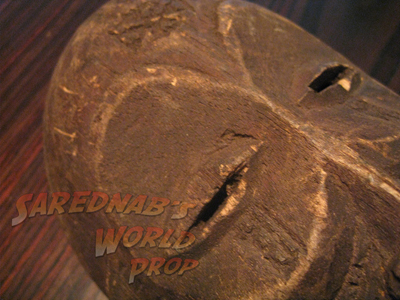 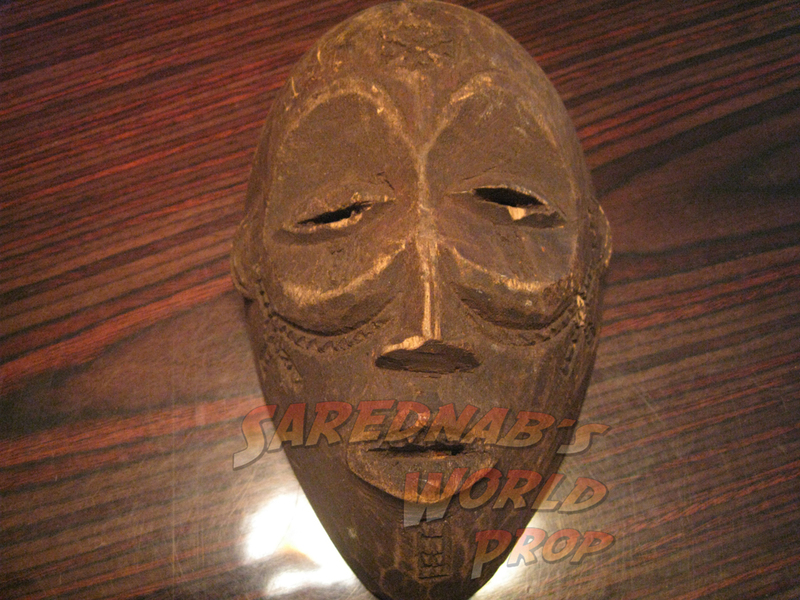 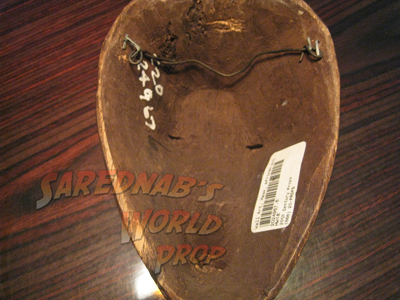 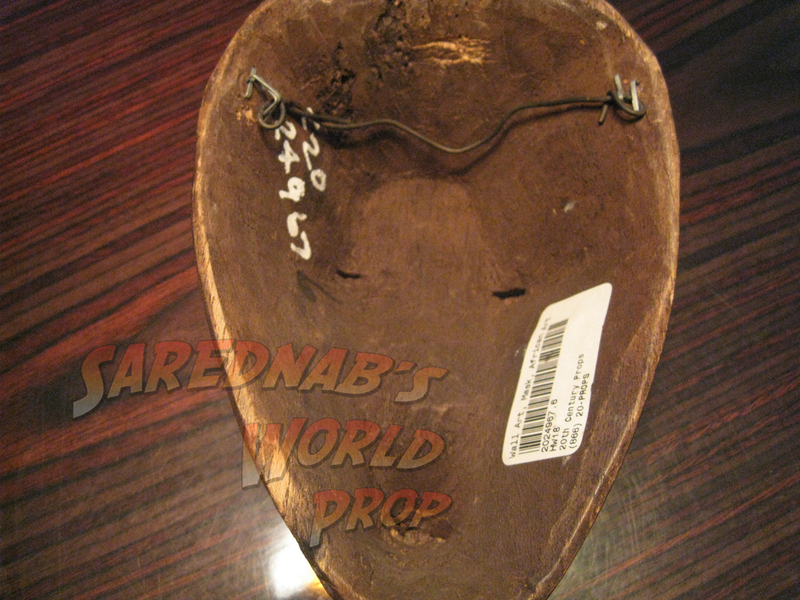 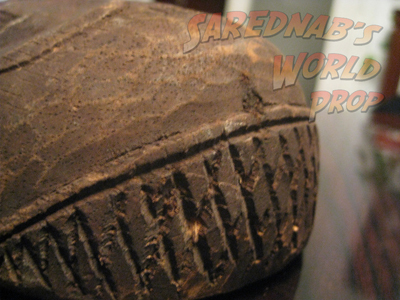 Dark Wood African Mask - $ - Sarednab's World Prop, Indiana Jones prop replicas and more! 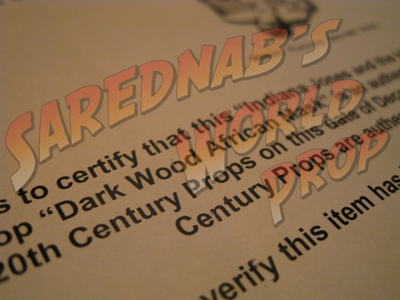 Dark Wood African Mask "Screen Used"
Name: Dark Wood African Mask "Screen Used"
Description: This is my second Sceen Used Prop! This Mask was used in the set in Indy's house. 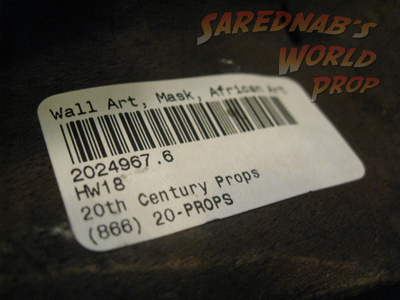 This was a decorative prop.